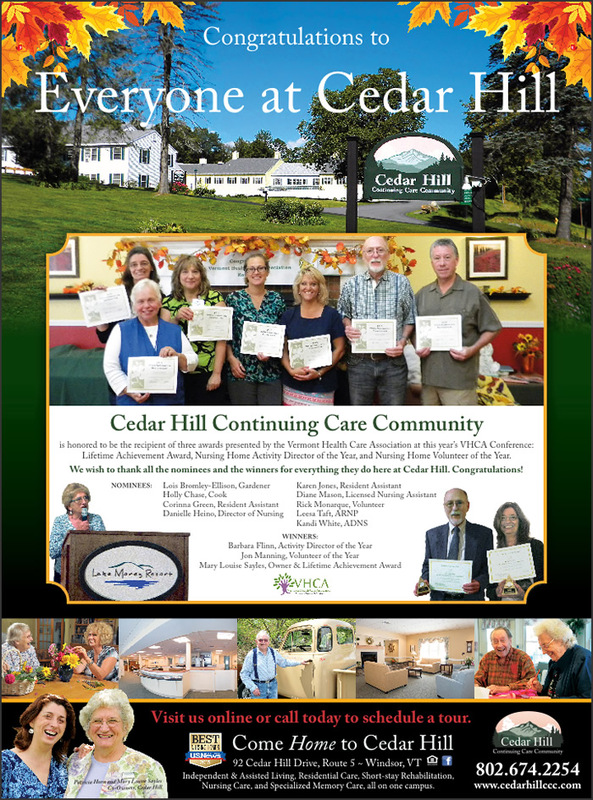 Cedar Hill Continuing Care Community is honored to be the recipient of three awards presented by the Vermont Health Care Association at this year’s VHCA Conference: Lifetime Achievement Award, Nursing Home Activity Director of the Year, and Nursing Home Volunteer of the Year. We wish to thank all the nominees and the winners for everything they do here at Cedar Hill. Congratulations!